In a study released last month, Georgia ranked 21st out of all 50 states for the most drunk driving fatalities per capita. While it’s good news that Georgia isn’t in the top ten, our state is in the top half with 3.51 deaths per 100,000 people. According to the NHTSA, alcohol-related fatalities accounted for 24% of all car accident fatalities in the state of Georgia in 2017. When someone is injured in a car accident, the victim may be entitled to compensation if the accident is the result of someone else’s negligence. Negligence is typically defined as the failure to take reasonable care under the circumstances. If you can prove that the other driver’s negligence caused your injuries, then the other driver can be held liable for your injuries and other losses. Every year since 1981, December has been designated as National Impaired Driving Prevention Month. It isn’t hard to see why – between Thanksgiving and New Years, there are plenty of reasons to celebrate. Family parties, office parties, concerts, and family get-togethers crowd the calendar, and it’s likely that alcohol will be served. According to the National Highway Traffic Safety Administration (NHTSA), there were 10,874 fatal car accidents in 2017 that involved alcohol. In December of 2017, 8.1 percent of all total accident fatalities involved alcohol. We here at Slappey & Sadd drive the same roads you do, and so we want to share some tips to get you home safely. According to the CDC, 29 Americans die every day in alcohol-related car accidents. From 2003-2012, almost 4,000 Georgians were killed. And while death is certainly the worst-case scenario, these statistics don’t account for the horrific injuries that can change the victim’s life forever. If you or your family has suffered as a result of an alcohol-related accident, you need to understand who you may have a claim against. The intoxicated driver is obviously at fault, but what happens if he is killed or doesn’t have the financial means to make you whole? There were others who could have taken action to prevent this accident but did not. Should they be held accountable for your suffering? The criminal case against the driver is brought by the government, based on the fact that he broke the law. He will face possible jail time and fines, as well as other penalties. A personal injury lawsuit is based on the victim’s claim for damages arising from the accident, such as medical expenses, lost wages, property damage, and pain and suffering. Drunk Driving Accidents – Who is at Fault? Despite the fact that drunk driving rates have been steadily declining over the years, drunk driving remains one of the leading causes of motor vehicle deaths in the U.S. Car accidents are always traumatic events, but this is especially so with drunk driving accidents – it’s hard to believe that someone would be so reckless as to get behind the wheel while under the influence of drugs or alcohol. It’s one thing to endanger your own health and safety, but unfortunately, drunk driving usually results in the death or injury of an innocent person. If you or a loved one has been involved in an accident with a drunk driver, you should consider talking with a lawyer in order to understand your rights and protect your future. The most obvious answer to this question is that you sue the intoxicated driver who caused the accident. 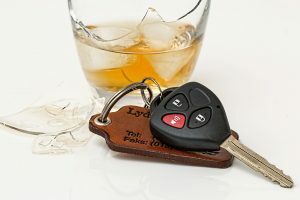 Almost all car accidents involve negligence, but in a drunk driving case, you’re alleging that the driver was negligent by driving while intoxicated. Therefore, you are asking the court to hold that person liable for your injuries and other losses. This Sunday, our Atlanta Falcons will take on the New England Patriots in Super Bowl LI. In the 51 seasons the Falcons have been in existence, this will only be the second time that they have appeared in the Super Bowl, with their 1996 appearance against the Denver Broncos ending in a 34-19 loss. In light of this history, you can be certain that a significant number of people in the Atlanta area will be attending parties and going to bars and restaurants this Sunday to watch the big game. Furthermore, perhaps more than any other sporting event, Super Bowl Sunday is strongly associated with party food and the consumption of alcoholic beverages. In fact, Atlanta Mayor Kasim Reed has taken the step of signing an executive order allowing bars to stay open until 2:30 a.m. this Sunday, an action which is in stark contrast to the way that other cities handle Super Bowl appearances for their teams.